Cyclocross bike or gravel bike or disc-brake road bike? Masi has a family of bikes that fit into all of these categories but are defined by none of them. 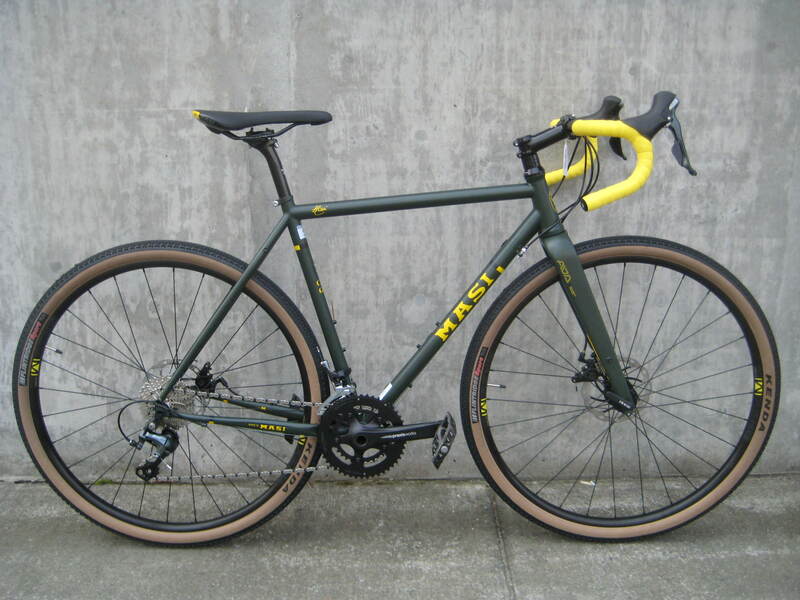 Masi’s CXGR series are just good bikes that do everything pretty well. The idea behind the CXGR bikes is that you can blur the lines of different road bike categories and make a versatile and fun bike. Take a long haul touring bike and make the handling sportier. Take a cyclocross bike, lower the bottom bracket height for better on-road manners, then add rack & fender eyelets. 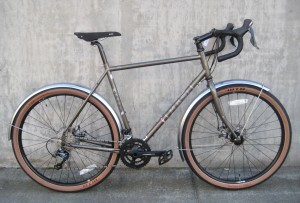 Take a road bike, install disc brakes and give it some beefy tires and rims so it can handle a tough urban commute. 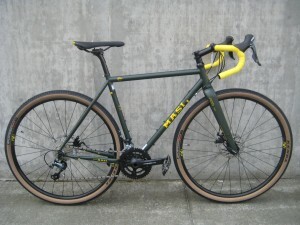 With the stock 40mm wide 700c tires you get better handling in the gravel and mud than a typical cyclocross set-up, without the bouncy (and somewhat slow) feel from truly obese 650b wheels.